Garhmukteshwar is constituency No. 60 of Uttar Pradesh legislative assembly. It is situated in Ghaziabad district which is in Upper Doab region of the state. It comes under Amroha Lok Sabha constituency. It is an open constituency. According to data with the Election Commission of India, Garhmukteshwar has 2,91,223 registered voters. It comprises 1,62,621 male and 1,28,594 female registered voters. The Samajwadi Party (SP) defeated the Bahujan Samj Party (BSP) by 18,199 votes to win this constituency in 2012 assembly elections. Madan Chauhan, the winning candidate from SP, got 82,816 votes. 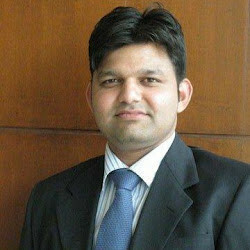 The runner-up was Farhat Hasan of BSP who got 64,617 votes. The voter turnout was a good 65.68 %. Below is the list of winners and runners-up in the Garhmukteshwar assembly elections conducted so far.